I love black and white. I truly think it is timeless. 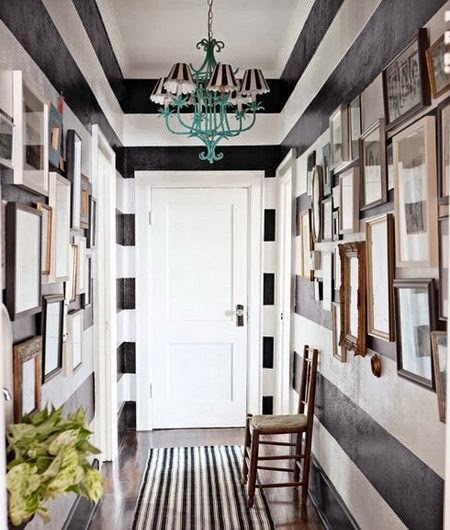 You can't go wrong with black and white, whether it be in your house, your outfit or your design. I just love how it launches other colors so well. Green, hot pink, turquoise and probably my favorite ... gold. Although my house is a filled with color and each room is truly a different color, each room is anchored with two colors, green and black. 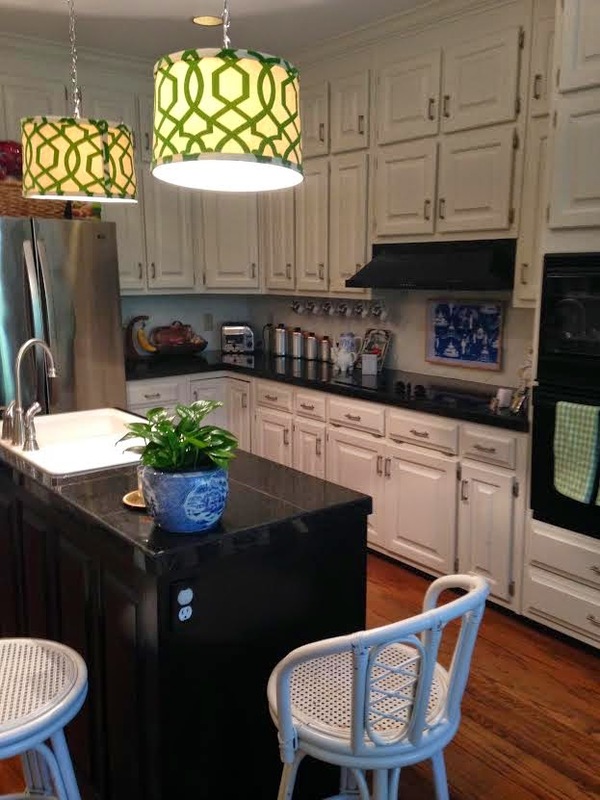 Even our all white kitchen has a touch of black and green. Although after last week's desk redo that black island's days are numbered. The green and the blue work for me. They play well together and don't fight! I love this picture ... still may be one of my most favorite pins. 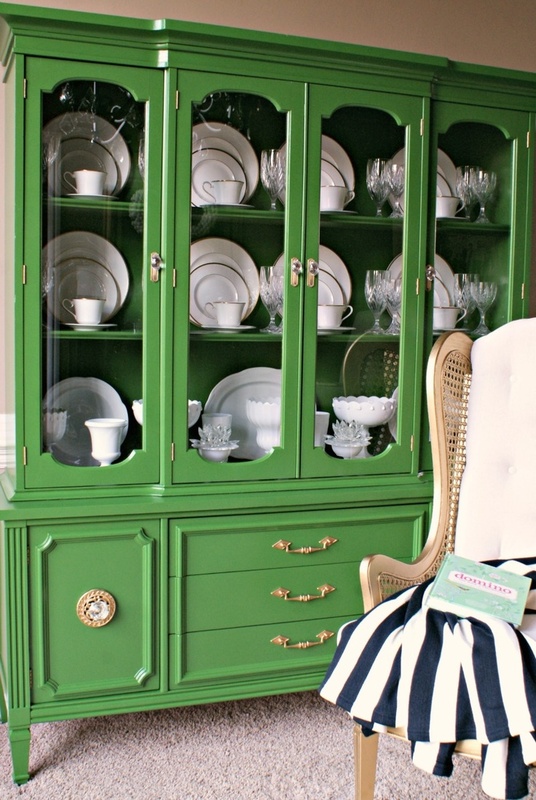 The green is the most perfect green and that black chair anchors the whole space for me! And then the gold frames add the perfect amount of punch. Just absolutely love everything about this picture!! Stripes! I adore stripes. They are always a good idea in my opinion and these are to die for. 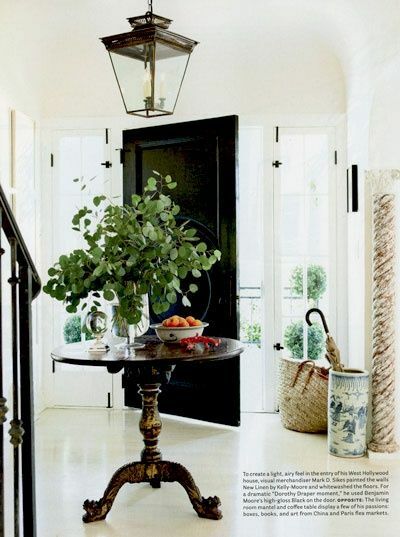 Black front door ... yep, add that to my to do list! It will be the perfect touch to my gold striped foyer. And I am dying to try this trick I saw on 11 Magnolia Lane. Just deciding on the color I will use! I am leaning toward the lime green. Thoughts? More stripes and more love!! And the chandy shades match and are scalloped. Hold on ... I passed out there for a minute! Those took my breath away! Yep, my Ikea rug rocking the room. It works in every single setting you place it in. And it works peeps! This table is just perfect. I love how the black and white anchors the entire setting. I may need to locate or make a black and white tablecloth for our dining room. It would be a perfect back drop to my love of mismatched dinnerware. And this table ... yes, please! 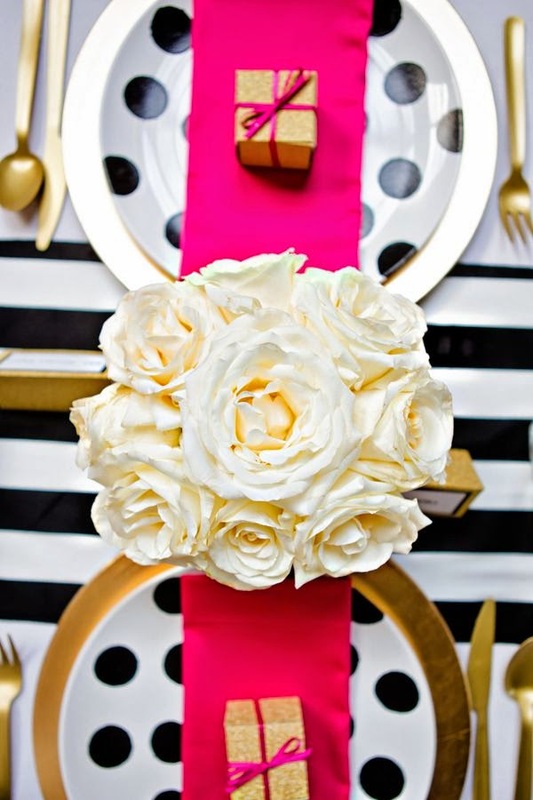 I am thinking black and white needs to be my theme for this year's holiday season!! 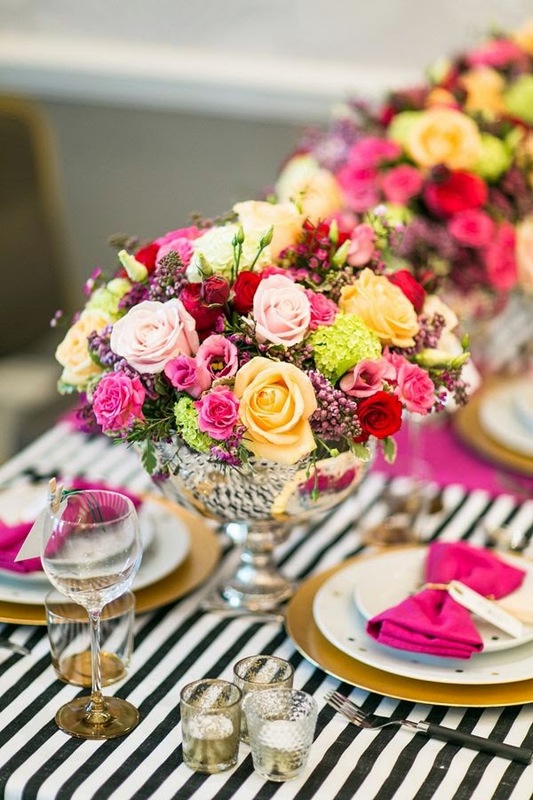 I can mix in plenty of red, green and pink and accent with gold. Oh yes, I can see it all in my head! I have this outfit ... different shirt but the same look. I wear the heck out of it. It works for any occasion. And my favorite thing to do is to top it off with a bright shoe. Hot pink, yellow, turquoise or orange! I see she is sporting a striped bra. I don't think I am that brave ... but maybe I should be! These Gap shorts are my new favorite item in my closet! They are so fun to wear. I first wore them for Haven and got so much love and wonderful feedback. I love to wear them with denim and a bright solid shirt. At Haven I sported them with a black button up and hot pink flops. They are so fun to wear and if you don't own them stop what you are doing and get them now. This Kate Spade dress just plain rocks!! I wore it last weekend for the wedding and I just loved every second in it. It's comfortable and has pockets to store your phone and your hot pink lipstick!! I will definitely be wearing this girl again this fall with a cardi and some fun hot pink heels! And I will leave you with these last two pics ... how cute are these adorable wallpapers?? I just love them both! The first one is perfect for a kids bathroom!! I love the green accent, but it could easily be mixed with pink or blue to make it more gender specific! And those who know me well know I ADORE silhouettes! And this precious paper! 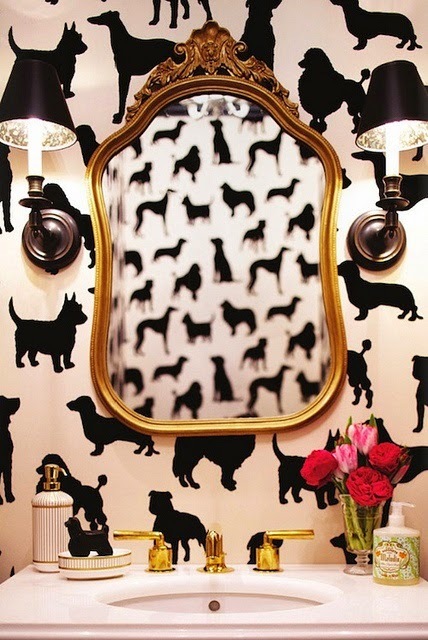 I just love this for a powder room. They are meant to be fun and daring and I think this paper is perfect for both! 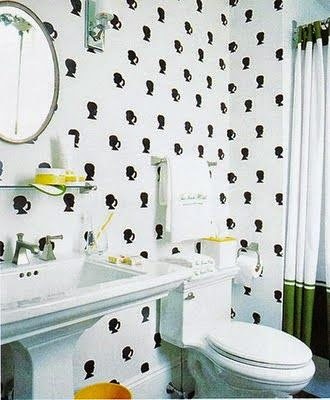 I am not crazy about the mirror they chose, but the paper and the rest of the choices are spot on!! All pictures used can be located via my Black and White board on Pinterest! Love the black and white combo as well. 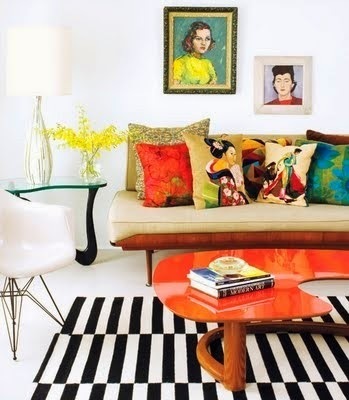 Always chic and sophisticate, but easily made fun and playful with a pop of color. 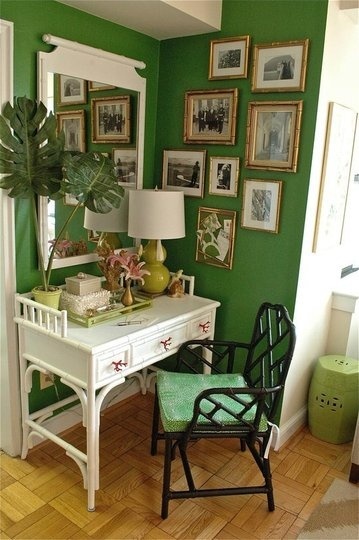 I too pinned the green walls. I love blue and green together!